My usual brow products were coming to an end and I didn't really want to repurchase them as they weren't very accessible. For me, brow products are hard to find because my brows are so ashy naturally and a little darker than my hair colour and I find that a lot of brown pencils/shadows/products are too dark or too red and they make me look ridiculous. 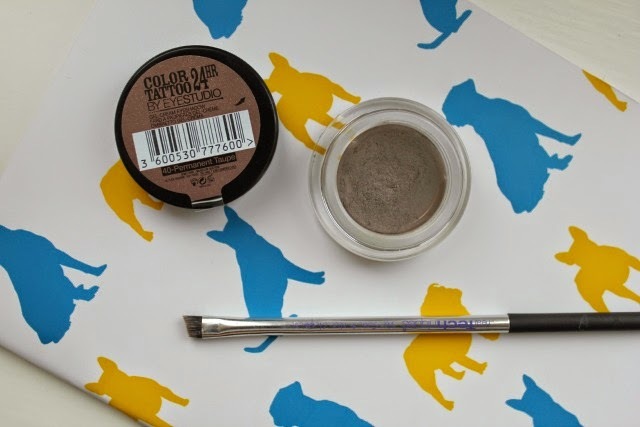 I was reading a blog post and someone mentioned using the Maybelline 24HR Colour Tattoo in Permanent Taupe as a brow product, so instantly I went an purchased it, because its inexpensive and I had wanted it as a cream shadow for a while. What makes it suitable for my brows is the fact that its a lot more grey/cool toned than other products and its really long wearing because it sets, meaning I had no fears of it smudging. I think since the Anastasia Dip Brow Pomade became well known its a little less scary for people to be faced with a gel or a cream brow product, because I certainly wouldn't have ever considered this before. I used my Real Techniques Eyeliner Brush to do small strokes and emphasise the arch of my brow and I love how they came out. You do have to be light handed as it is rather intense packed on so I literally dip my brush into the slightest amount of product. I also love this cream shadow as an eye product on its own or as a base, and it actually works nicely as a contour if you are really careful with it as it mimics a shadow rather well under the cheekbone, and I've actually got it on all three areas in the photo above. Have you tried this for brows, or do you have any multipurpose favourites? i read a blog post about someone using it on their brows and i'm surprised at how well it works! 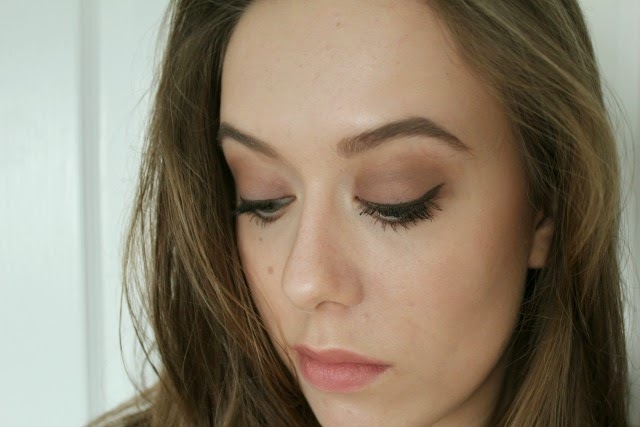 i had no idea it could work as a contour as well, i love the colour tattoos anyway just for their eyeshadow properties but i may have to try it out for brows as i really want to try the anastasia brow pomade but mans gotta save money - great post! What a great idea! I never tried is as a brow gel, only as eyeshadow. Thanks for the tip! I use this real techniques brush for my brows too! It's my favourite, never tried these but your eyebrows look so good!